Everyone has an opinion. Whether you use argument in your professional life, or you’re trying to become better at everyday discourse, The Joy of Argument by Albert Navarra is a compact resource to help you get your point across. Albert chose our Catalyst Package, which includes a full suite of publishing services, as well as a marketing base that includes an author website. A professional copy editor got to work cleaning up spelling and grammar mistakes in Albert’s manuscript, while simultaneously standardizing it to a style guide. As soon as the copy edit was complete, our interior designer took the raw Word Document, and transformed the text into a professional book interior. After the interior had been completed, an indexer combed through the manuscript, compiling a list of terms and page number references that would become the book’s index. After the index was complete, our proofreader read through the manuscript a final time, meticulously checking and rechecking the text, interior design, and index references. After the interior was clear of errors, we created an e-book version, designed specifically to be readable across all major e-book platforms. While our editors and interior designers were working their magic on the manuscript, our cover designer was working closely with Albert to create a custom cover design. We paid attention to styles the author preferred, and created an aesthetic that compliments the target audience of the book. During the production process, Albert’s book was reviewed and accepted by Boyle & Dalton, our exclusive imprint reserved for top-quality books. Learn more about Boyle & Dalton here. Our team of marketing consultants formulated a plan for Albert’s book that includes a personalized author website. As the book production was being completed, our web developers created a custom WordPress site for The Joy of Argument, giving him an easy, professional platform for promotion. In addition to his website, we created printed marketing materials for Albert, as well as setting up social media accounts for his book. 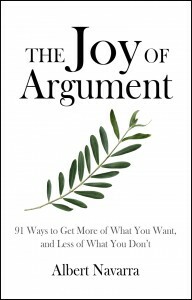 Thanks to our distribution services, The Joy of Argument is now available as a paperback and as an e-book from Amazon.com, as well as all major online retailers. Find a copy for yourself here. From editing to marketing, Columbus Publishing Lab can provide all of the publishing services you need to produce a professional book. Along the way, you’ll have a dedicated point of contact at all times. No waiting days to hear back from different representatives, no sending emails off into the void. We’re here to make this experience enjoyable for you. If you’re interested in publishing your book, we invite you to contact us by clicking here. 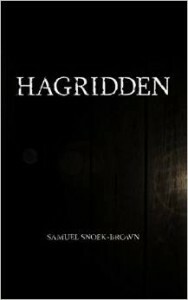 Hagridden is a newly released historical fiction novel by Samuel Snoek-Brown. Columbus Press, the publisher of the book, uses the same team of editors, designers and marketing consultants that are available to you through Columbus Publishing Lab. Hagridden underwent several rounds of developmental editing before copy editing took place. After that was completed, a team of proofreaders combed through the book, looking for any remaining errors. The cover design and interior design were completed by a team of Columbus Publishing Lab designers. The custom cover design for Hagridden is considered our Premium Cover Design service. Our team of marketing experts helped Columbus Press plan and implement a strategy to successfully get the book into the hands of readers and reviewers. Our web developer designed them a custom website to help promote and publicize the book. Check out their handiwork at HagriddenBook.com. We also assisted with the production of print materials, and social media integration. The book is now available as a paperback, e-book and hardback on Amazon.com, and all major online retailers. If you’re interested in producing a book like Hagridden, contact us. We’d love to answer your questions and learn about your project. Capital Offense by Kurt Stevens was originally published to the web as a serial novel, and then released by traditional avenues as a paperback and e-book on January 28, 2014. Columbus Press, the publisher of the book, uses the same team of editors, designers and marketing consultants that are available to you through Columbus Publishing Lab. Capital Offense underwent a severe developmental review process by editor Brad Pauquette, before a copy edit was completed by editor Lin Rice. The proofread was completed by a team of proofreaders. The cover design and interior design were completed by a team of Columbus Publishing Lab designers. The cover design would fall under our “Premium Cover Design” services. 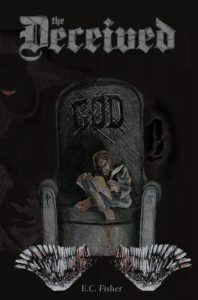 The website for the serial release of the book was designed by our team (web design services), find it at www.CapitalOffenseBook.com. We also assisted with the production of print materials, the creation of a marketing plan and a complete social media implementation. The book, both paperback and e-book, are now available on Amazon.com. The paperback is available from all major online retailers. Are you interested in producing a book like Capital Offense? Please contact us to discuss your project today. 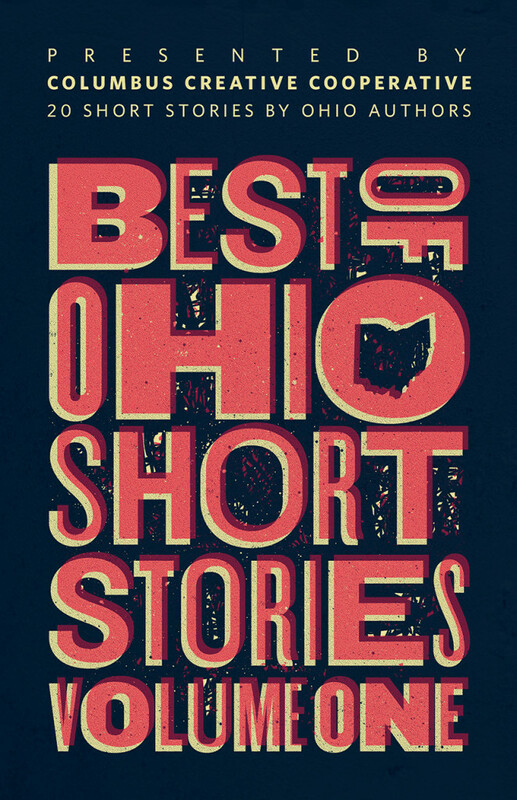 Best of Ohio Short Stories: Volume 1 was released by Columbus Creative Cooperative in November of 2013, using the same editorial, design, marketing and distribution services that are available to you through Columbus Publishing Lab. All of the stories included in this book underwent a developmental editing process and copy editing process. Custom digital artwork was created for the book cover (Premium Book Cover). The interior of the book was carefully laid out by an experienced designer. 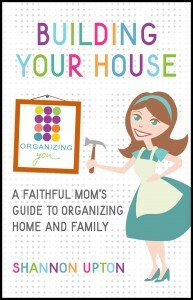 In addition, marketing materials and a website (Author Special Website) — www.BestofOhioBook.com — were created specifically for this book. Using the same distribution services available to you, the book is available from all major retailers as both a paperback book and an e-book. Check out Best of Ohio Short Stories: Volume 1 on Goodreads and Amazon, or on the Columbus Creative Cooperative website. If you’re thinking about self-publishing, you won’t find a better team of editors, designers and consultants than we have at Columbus Publishing Lab. Our distribution services are top-notch and our pricing is fair. Check out our self-publishing packages today. Every client at Columbus Publishing Lab receives first-class, personalized service. There’s no 1-800 number or general support e-mail. When you use our self-publishing services, you’ll have a dedicated, knowledgeable single point of contact who you can call or e-mail personally. Seven in a Jeep: A Memoir of the Vietnam War by Ed Gaydos was published in May of 2013, using the same editorial and design team that is available to you through Columbus Publishing Lab. If you’re interested in self-publishing your book, you won’t find a better team of editors, designers and consultants than you will right here. Our distribution services are exemplary and our prices are fair and affordable. Seven in a Jeep underwent extensive developmental editing, before a rigorous copy editing process. Custom artwork was created and digitized for the cover by one of our talented artists, and the interior design was executed for both print and e-books. A website was created for the book – www.SeveninaJeep.com, as well as a complete marketing plan, including social media setup and management. To date, the book has been warmly received, and is available from a number of Central Ohio and national retailer, as well as from all major online retailers (print and digital). The same editors and designers that produced this book are now available to assist you through Columbus Publishing Lab. Contact CPL to discuss your book project today. If you’re thinking about self-publishing, contact us. We’re happy to answer your questions. Don’t forget to check out Seven in a Jeep on Facebook, Twitter, Goodreads and Amazon.